GoWaiter was created to provide hungry consumers with the ability to order the food they want, from the local restaurants they want and have it delivered to them at their home, office or hotel for less than $5 and within an average of 45 to 55 minutes. By providing a variety of prepared meal choices along with the convenience of delivery, we bring a better quality of life to everyone we touch. Our mission is to take what is currently a fragmented and inconsistent Restaurant Delivery Service (RDS) Industry and help implement efficient operations and profitable business practices from Coast to Coast, while building a national brand that will define the future of our industry which will be represented by franchisees that promote integrity and profitability through deliverability. While satisfying our consumers needs, our high quality Menu Guide, we will also bring the extra marketing and sales needed by our restaurants partners. For over ten years, our management team has not only helped other RDS's get off the ground, but also owned and operated some of the most successful RDS's in the industry. After helping more than 50 RDS's throughout the US, Canada, Australia and Kuwait get started, our team decided that it was time to put the system under one name, GoWaiter, and provide the consistency and quality that our restaurant partners and delivery customers deserve. Considering Restaurants are looking for ways to increase sales, and consumers don't have the time to always cook or dine-in at restaurants... there has never been a better time to start a GoWaiter franchise. If you can feed a need, you're more likely to succeed. Consumers are demanding the speed, convenience, and choice of GoWaiter. Restaurants are feeling the recession. 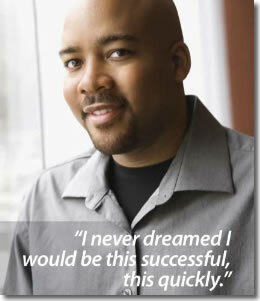 GoWaiter helps them serve more customers without increasing costs. As a result, restaurants pay you a sales commission. We know you can do this. Because we're with you all the way. We help you sign up restaurants. We help you generate orders. 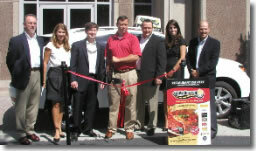 Click on Request Information for FREE info on how to open a GoWaiter.com franchise today! 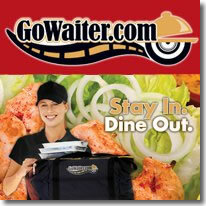 Please Note: This GoWaiter.com franchise opportunity and other franchise business opportunities, businesses and franchises for sale on this web site are not to be considered as an "offering", "franchise offering", suggestion or recommendation by Franchise Leader™. This advertisement depends entirely on the truthfulness of the information provided by our advertisers which includes, but is not limited to, franchisers, franchise brokers, franchise consultants and business brokers. Franchise Leader™ recommends that you consult a lawyer, financial consultant, accountant or professional advisor before buying a franchise or business opportunity or any type of business. By using this form or any part of our website, you have agreed to all terms and conditions of Franchise Leader™. Please review our Terms & Conditions for more information.